We invite you join us for our Community Day workout! If you are not a member, please make sure to sign our waiver before you arrive. CrossFit, as a training program is unique in its approach to health and fitness, one of the most important being the emphasis on nutrition. Not calories, but actually discussing how what you eat can make you feel, perform and look better. Health isn’t simply a matter of balancing energy in versus energy out. Where that energy (calories) comes from matters. Food matters. In the past, we have tried to find a way to share information with our members, but we have also realized that everyone would benefit from this information. The concepts of nutrition, what to eat to help improve health and stave off chronic disease, shouldn’t be a secret. With that in mind, we are closing the CrossFit SAC Nutrition page and inviting everyone to the Real Food Matters page. 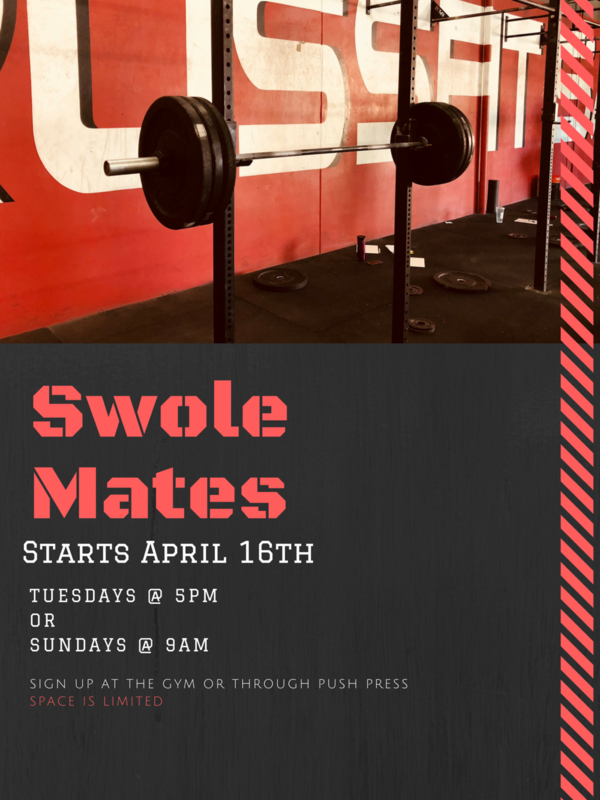 This way we can post information that will benefit our CrossFit SAC family, but their families as well. *The rope climb today will be performed as a "double rope climb". Both the "hybrid" rope and regular rope will be down at each station and athletes wishing to perform the full version of today's workout will need to ascend to the top of the ropes by climbing BOTH ropes simultaneously and sliding each hand up the rope it is holding. We will be hosting a CrossFit Level 1 Seminar this weekend, there will be a 8 am Park WOD only on Saturday. The gym will be closed Sunday. It looks like the rain is finally subsiding a bit for the near future. What is the movement that you do not want to see come out of the hopper? Everyone has that one movement, or multiple movements, that they do not want to see on the whiteboard when they show up to the gym. Maybe its even an entire modality like gymnastics movements, or any of the mono-structural movements. This movement, or string of movements, are what we need to be focusing on in our training the most. What does this mean for you as a member of CFS? Obviously, we cannot program the WOD’s specifically to each person and what their “most feared” movement is, but this doesn’t mean that you never get to work on these movements. Let’s take double unders for example. Many of us struggle with figuring out the rhythm of double unders, and it is no secret that no one enjoys having to do tuck jumps every time double unders show up on the whiteboard for class. This is the perfect opportunity for extra practice and the improvement of the skill that follows. Take a few minutes before or after class and practice some drills to help learn to do them better like Penguin Drills, Alternating Single-Double Drills, etc. Don’t shy away or avoid the thing that you don’t want to see in the workout, embrace it, and really take the time to practice. Who knows, maybe one day that movement will turn into your favorite. Hope this helps! See all of you in the gym!